ALL THE TIME GOD IS GOOD! 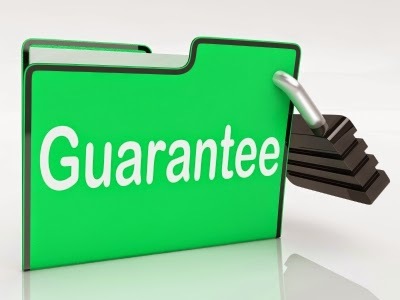 : Our guaranteed eternal security! I am back from a wonderful time away with family. I trust the guest blog by Daveda was a tremendous blessing. I know it was a joy to read it. We are continuing in our series "Loving it, leaving it, losing it". We have seen the beautiful and majestic Words of our Lord Jesus Christ. How comforting, how hopeful, how secure and loving and how revealing they are to us who've received Him. He guaranteed that those who trusted Him with a true heart of belief would never be lost or perish. This week I'd like to take a look at the Apostle Paul's Holy Spirit inspired words. As we study them we see just how God has guaranteed the Words of Jesus. I want to direct you to Paul's words in verse five. He revealed the Holy Ghost was our guarantee of our body being resurrected in the end. In context he is offering comfort about saints that have passed on. Paul goes on to offer more comfort with the promise that to be absent from this present body is to be in the presence of our Father in Heaven. Yet even in this context Paul gives us an insight about our eternal security. He reveals the Spirit of God is our guarantee for eternal life. And now you Gentiles have also heard the truth, the Good News that God saves you. And when you believed in Christ, he identified you as his own by giving you the Holy Spirit, whom he promised long ago. The Spirit is God’s guarantee that he will give us the inheritance he promised and that he has purchased us to be his own people. He did this so we would praise and glorify him. It doesn't get much clearer than this. The Spirit of God is the guarantee for eternal life in Him. What would be a good illustration for this in our present day? If you own a home or ever owned one or know someone that does you more than likely aware of the phrase earnest money. Earnest money is a type of payment one makes to "prove" or reveal intent that they wish to purchase a particular home. This is exactly what our Father did for us. As a down payment on our eternal life with Him He gave us His Spirit. The indwelling Spirit of God within you proves beyond doubt He will finish what He started in you. The Spirit is God's earnest deposit on your salvation that you will persevere until the end. The Holy Ghost on the inside produces the fruit that reveals your new nature. Now we have the fourth reason for our eternal security in Him. The Spirit is our God guarantee. To recap it's the Father's will to save us eternally. Secondly, Jesus was the one who first introduced this concept of our salvation. Thirdly, He promised we would be forever secure in His hands. We now have a stronger foundation for trusting Him for our eternally secure salvation. I trust this post has blessed you and encouraged you and motivated you for more devotion toward our loving good Father. I pray His goodness surrounds you this week. Blessing overtake you. In Him.